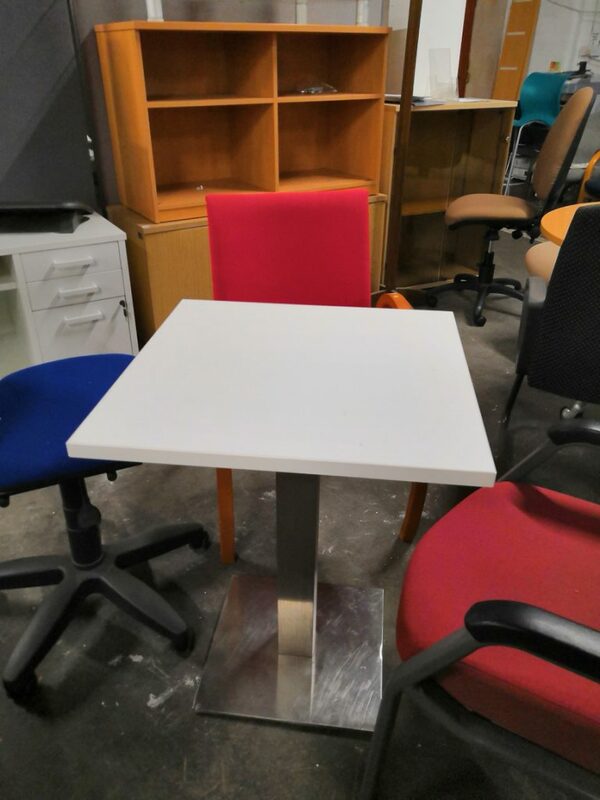 Small square bistro table on a chrome square base with a white top. Suited for a break-out of bistro area. Neat and compact barrel boardroom table with chrome column bases. Cable port in the middle for interactive meetings. 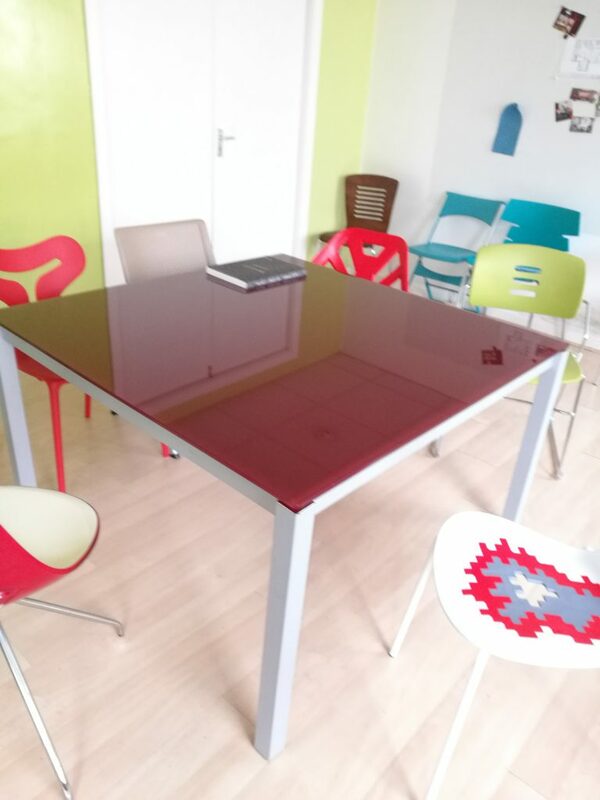 Red glass meeting table with silver legs. 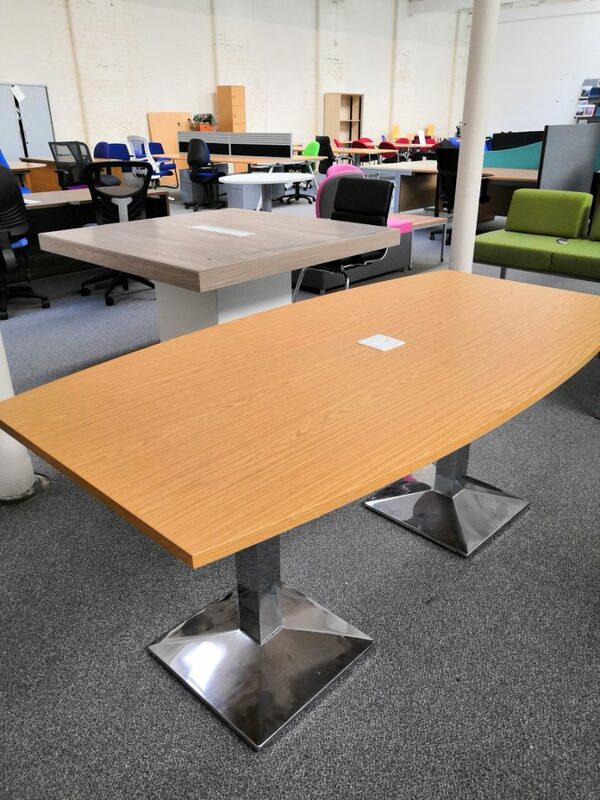 Matching executive desk available. Glass top can be written on with chalk pens for collaborative meetings. 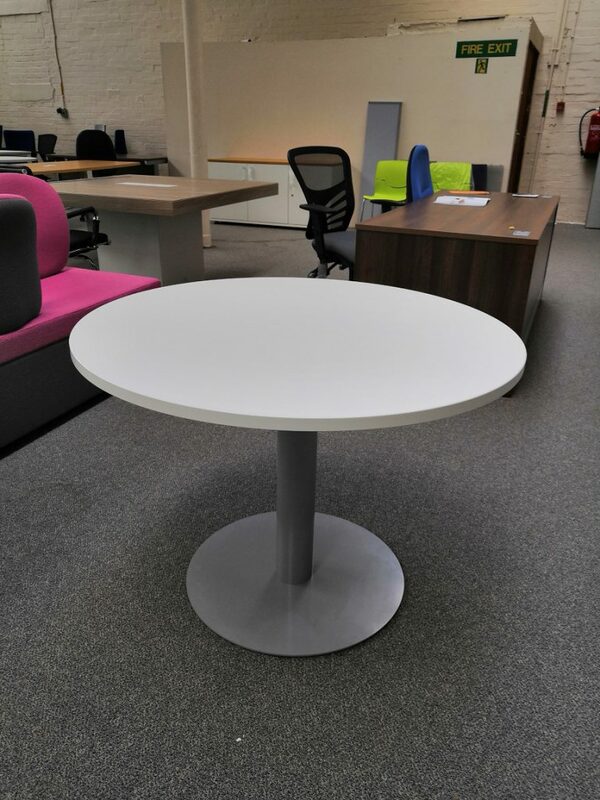 Simple white table with silver rounded base. 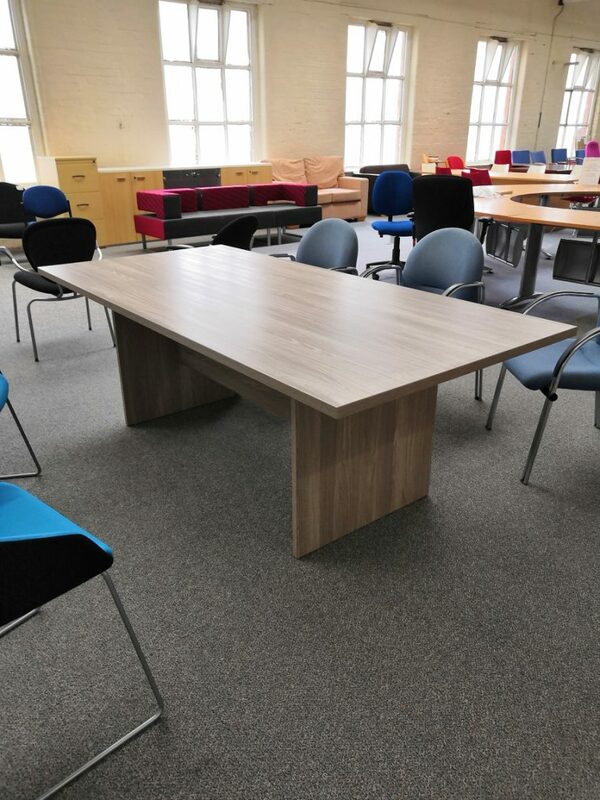 Ideal for informal meetings or breakout areas. Sturdy and easily incorporated. 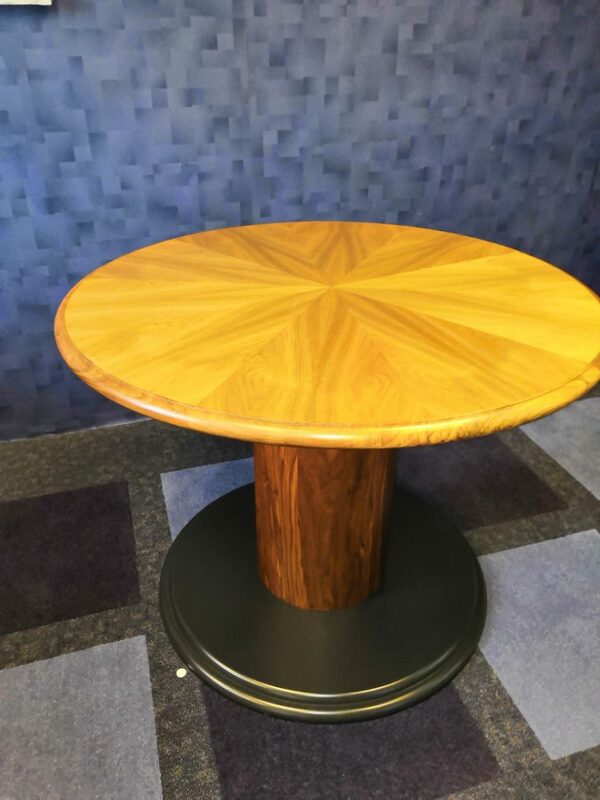 Solid circular walnut meeting table. Stunning wood grain pattern. Matching walnut desk available, discounted if bought together. 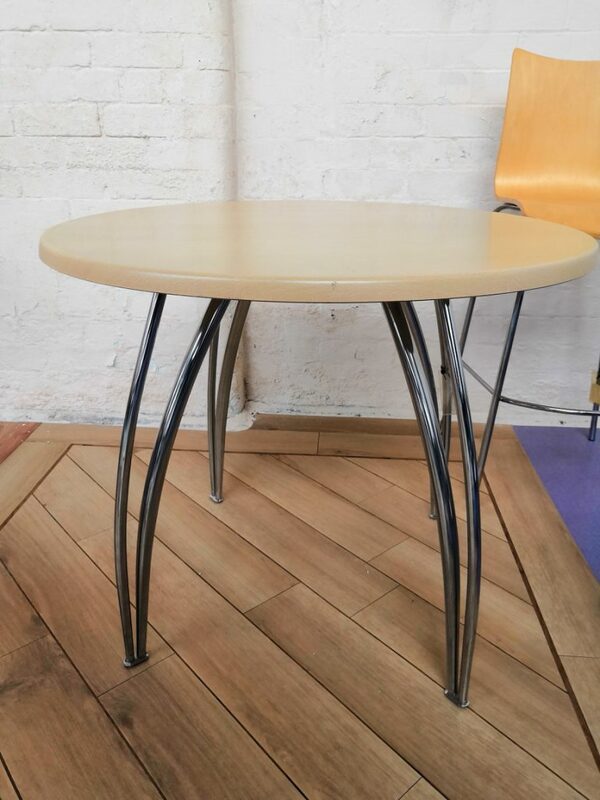 Simple circular table with a stylish double splayed leg which adds an interesting feature to this multifunctional table.